When the first farm game appeared, a real revolution took place in the gaming world. A lot of time has passed since that moment, and farms still continue to be popular. New projects appear regularly. One of the most successful examples is the Royal Story game, designed for different age categories. When you get into the project, you try on an image that is not quite as usual for farms. But first things first! The Royal Story - browser project. 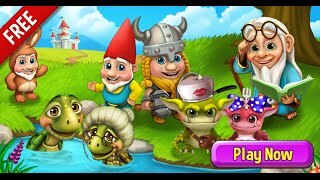 Therefore, you can play immediately, without wasting time on downloading and installing additional client programs. The only thing you have to distract before the start of the gameplay in the Royal Story registration. The game interface is adapted for Russian-speaking users, so there should be no problems with the registration process. The registration form is located right on the main page of the game. In the first free field, write down your email address. Think and enter a password to access your personal account. The last blank line is for the game name. If you wish, you can enter the game much faster, instead of registering by logging in using your Facebook account. You will start to play Royal Story with the choice of the image of your character. The choice is small - you can be a prince or a princess. Your guide to the project will be the glorious gnome Max. He will tell you about the basic principles of the game and help to deal with all the nuances in the management. From your new conductor you will find out that you spent too much time under the spell. So now, waking up, you should do a policing in the kingdom. 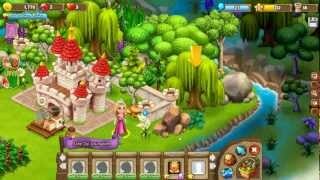 As in most similar projects, in Royal Story online you need to deal with the development of your own land. Now the size of your land is minimal and the number of buildings on them is limited. While playing, you will be able to explore and occupy new territories, build new residential buildings, factories on them, organize gardens and orchards. V each category - several subcategories, so you have a choice and quite large. Gold coins - the main game currency. Rubins - another type of currency. They can buy better things. Hearts are the most precious currency. For them in the game store you can buy this exclusive. The energy level determines how many actions you can do right now. As the level increases, the number of energy points allowed increases. When you play Royal Story, carefully follow the experience. The more you accumulate it, the sooner you move to a new level. So called lock points determine the level of development of your buildings. In the game you can visit friends, help them, get bonuses for it, and accept help from neighbors.